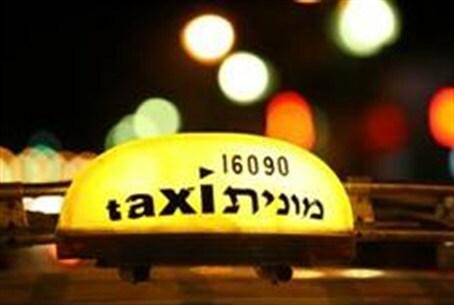 Security officials have arrested a Palestinian Authority Arab for brutally attacking a Tel Aviv area cab driver before dawn Tuesday. The Arab, who has been living in the "Triangle" area without a work permit, flagged down the taxi in Tel Aviv and stabbed the driver several times in the upper body when they arrived at Kfar Saba, located several miles to the north and near the Palestinian Authority city of Kalkilya. The attacker fled, and the Israel Security Agency (Shin Bet) clamped a gag order on details. Police arrested the Arab in mid-morning, and the victim is being treated for critical injuries. He was not robbed, and the assault is an apparent terrorist attack. The driver was able to call his company's dispatcher, and the vehicle was found by using the car's GPS system. The alleged assailant fled the scene but was arrested. Last Thursday, an Arab stabbed a married yeshiva student in the Shimon HaTzadik neighborhood of Jerusalem. Two young Arabs were arrested. Earlier this month, an Arab terrorist used an axe to attack a 65-year-old man near the Damascus Gate in the Old City of Jerusalem. The attacker fled but was later caught. The victim suffered moderate wounds and was treated at Hadassah Ein Kerem Hospital in Jerusalem.